Top Five McDonald's Menu Failures... in Videos! 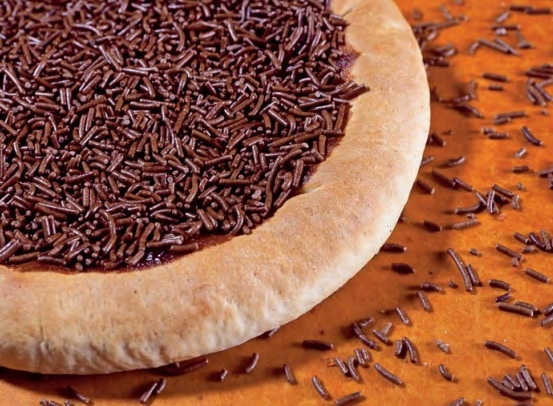 At Domino's Brazil, they offer a Banana Pizza and a Chocolate Pizza. The Banana Pizza (shown above) comes topped with mozzarella, banana, sugar, and cinnamon. I'm a bit curious as to how the mozzarella works with other ingredients. The Chocolate Pizza looks a bit like worms on a pizza, but it's actually Nestle chocolate sprinkles with an unfortunate appearance. Underneath there's vanilla cream and chocolate icing on your standard pizza crust. 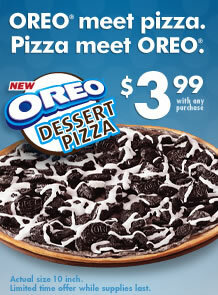 But Brazil, isn't the only country where the pizza chain's offer dessert pizza. 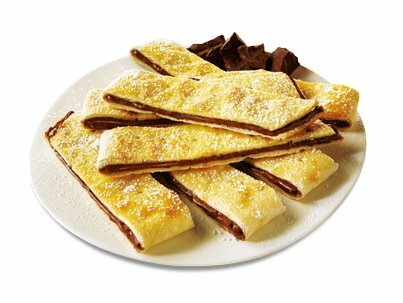 It features a crunchy thin crust filled with melted chocolate and sprinkled with powdered sugar. But that's not to say they haven't offered dessert pizza here in the States. And, in 2011, Papa Murphy's offered a Smore's Pie around Valentine's Day.